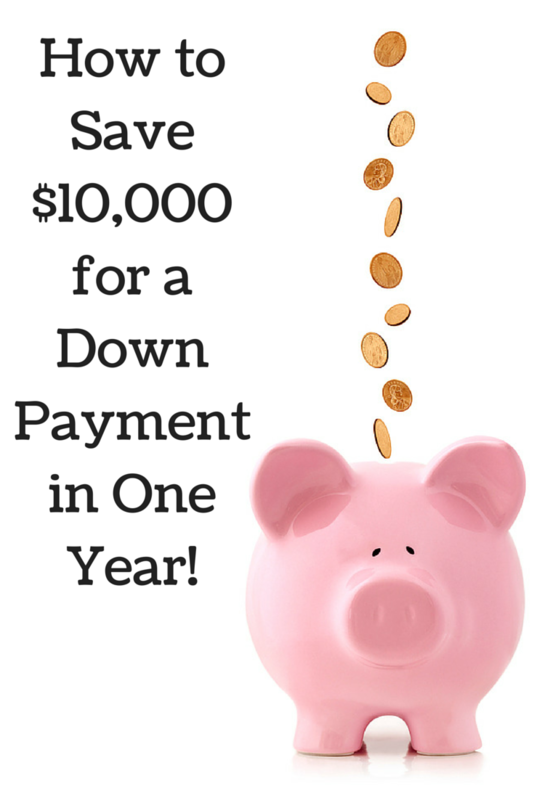 One of the biggest challenges to buying your first home is saving up for a down payment. The size of the down payment you’ll need depends on which type of mortgage you choose. You’ll likely need at least 3% down, but it varies depending on the type of loan. One thing is for sure, you will need to save some money to purchase a home. 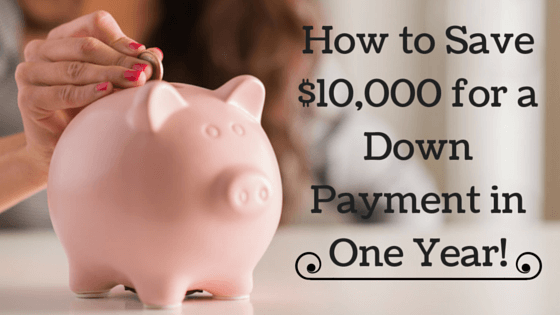 Here are several easy ways to save over $10,000 to put towards a down payment in just ONE YEAR! A small espresso drink costs around $4.00 at most coffee shops. That adds up to $1,460 a year! Buy a bag of gourmet coffee and make it yourself. Or get your caffeine fix at the office where the coffee is free. The average American family spends $225 a month eating away from home. Wow! That’s $2,700 a year! 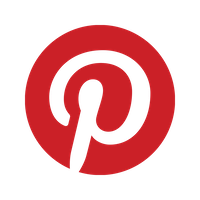 Invest in a good cook book or search Pinterest for recipes and make your dinners at home this year. Don’t forget to pack your lunches too! This year the average cable customer will pay an astonishing $123 per month for pay-TV. By contrast, a basic Netflix subscription is only $7.99 a month. Cutting the cable and replacing it with a cheaper streaming TV subscription can save you over $1,400 in just one year! Your health should be a top priority but the average gym membership costs $58 per month per person and 67% of people that have gym memberships don’t use them! Instead of wasting money on a gym membership that you don’t use, get your exercise by walking/running around the block or utilizing the equipment at your local park. Most parks have basketball courts, a swimming pool, or tennis courts that are free to the public. *If you’re a couple, double the savings! You can have fun without spending a whole lot of money. It just takes a little creativity! Instead of going to the movie theater, hit up the RedBox and pop some popcorn in the microwave. Many museums and art galleries are free or offer free days. Check your local library for free classes, lectures, and book clubs. Instead of paying $16 on iTunes for an album you’ll only listen to a couple of times, borrow it for free from the public library. The average American planned to spend just over $800 on holiday gifts in 2015. Plan ahead and make next Christmas a homemade holiday. Homemade gifts are more thoughtful anyway! If you’re not crafty or don’t have the time to make your gifts, talk with your family and tell them ahead of time that you’d like to skip the gift exchange this year. It’s easy to save money if it never makes it into your pocket. Set up an automatic withdrawal from your checking account to your savings account on the same day that you get paid. $25 a week will add up to $1,300 in just one year! 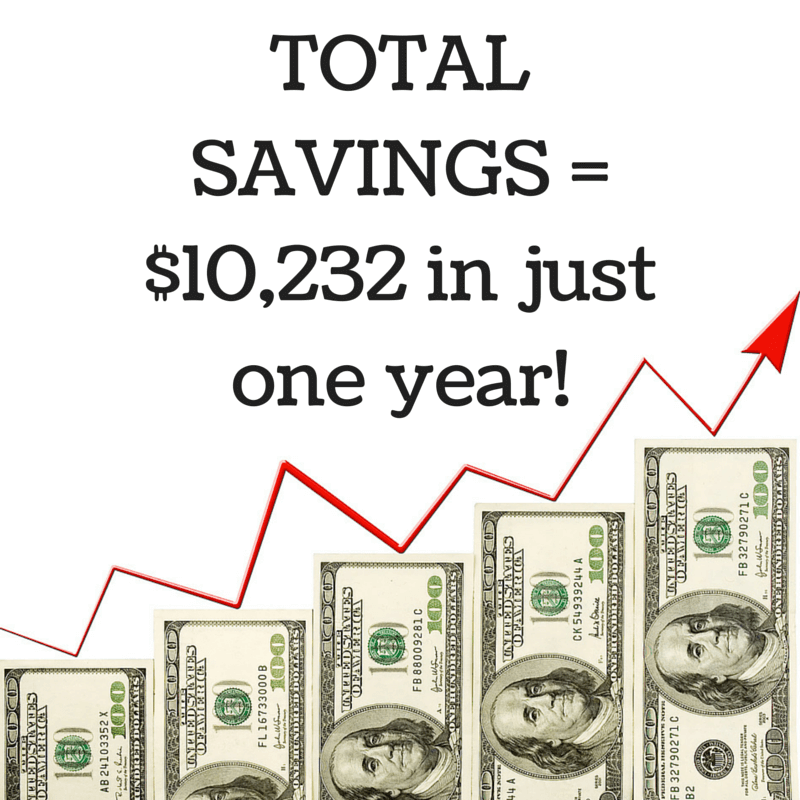 If you can double that, you could save $2,600 in a year! Car insurance - Call around to different insurance agencies for free estimates. You may be able to save hundreds a year by switching providers! Cell phone - You may be able to save hundreds by switching cell phone providers so be sure to shop around. Some providers will even buy out your current contract, so be sure to ask. Health insurance - If you’re married, you may be able to save money by opting into your employer’s health insurance rather than being on your spouse’s plan. Be sure to compare costs during open enrollment. What’s your best money-saving tip? Please share in the comments below!